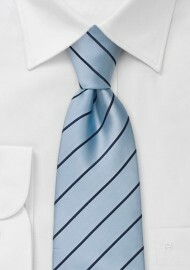 A classic narrow striped tie in light blue and navy. This tie is made in XL length for the big and tall man. 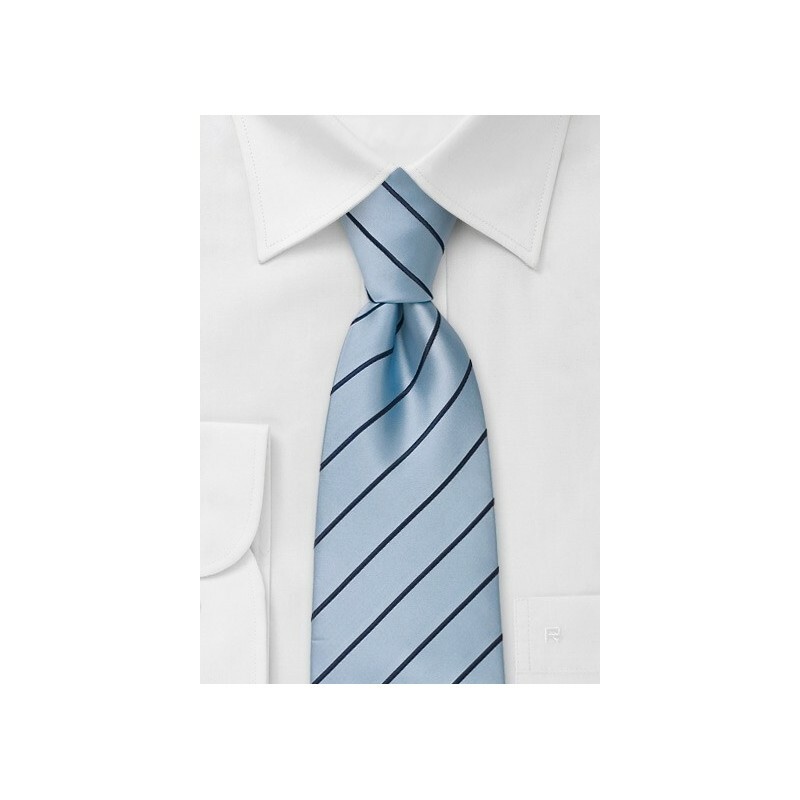 Although this is a tie that matches almost any shirt and suit, we prefer this tie on top of a light blue shirt and medium-gray suit. Please note that this tie is made for the big and tall man. Our extra long ties are 62 inches in length and typically made for men taller than 6 foot 3 inches.